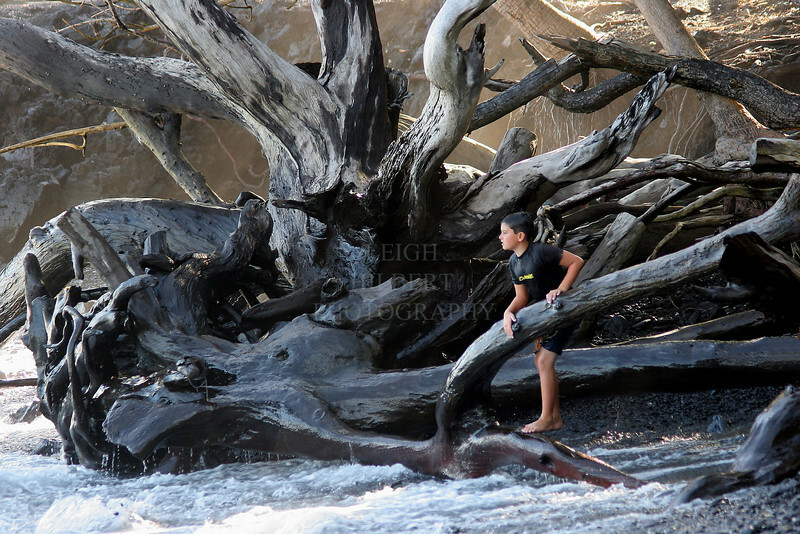 This kid, Oscar,took a break from bodyboarding and watched the other surfers from this wild perch. Island of Hawaii -southeast side. Prints well in all available standard sizes.